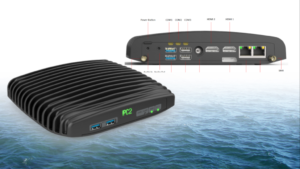 Have your home office on board the ship with a Marine PC. 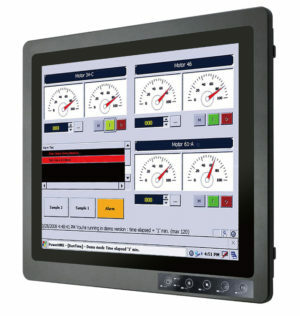 We sell a range of robust computers suitable for maritime use as well as waterproof (IP67) monitors with and without touch function. Our equipment is prepared for mounting on board the ship and can withstand the often demanding environment. We have more PC models with powerful processors, frames, discs and of course passive cooling that resists vibration. Connect multiple monitors, network connectors and the well-known RS232 port for data exchange between your other devices. Whether you need to keep a logbook in Excel, do video surveillance of shelter tires, cargo holds or report online to the authorities, have the right equipment for the task. With more than 15 years of experience in the industry, we have gained in-depth knowledge of industrial and marine approved hardware. Therefore, please contact us with questions and help with choosing the right equipment. Can be retransmitted for many years. Supplied with mini UPS by default. 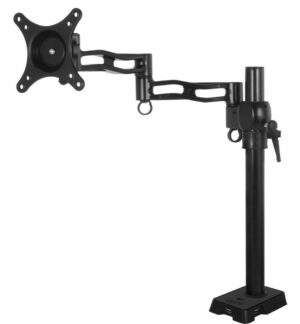 Choose between DIN brackets or VESA brackets.